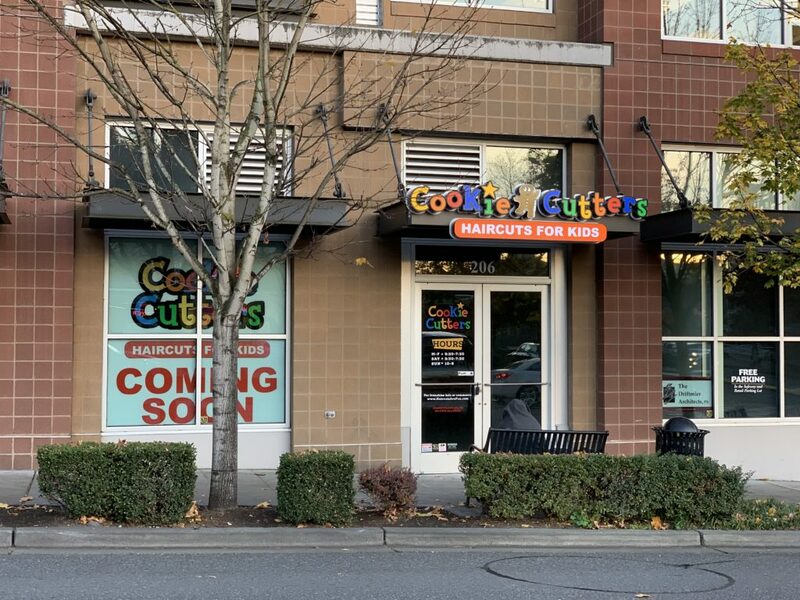 A new kids haircut salon, Cookie Cutters, is coming to downtown Bellevue on Bellevue Way, next to Safeway. With the intention of creating a positive experience, the store will feature a slide and touch screen play unit in the waiting area, TVs, video games, and fantasy chairs on the cutting floor. Each cutting station will have a large selection of kids’ shows and games, bubbles, suckers and balloons. Services offered will include kids cut with shampoo, bang trim, hairstyling, braiding and more. The hair care products used will be brands like Original Sprout, Fairy Tales and Circle of Friends. Cookie Cutters is a children’s hair care franchise with locations all around the United States and Canada. This is their second location in Washington, with the other being in Renton.